Sonnet Mondal is a fresh and multitalented versatile Indian English poet whose poetry deals with various aspects of life. 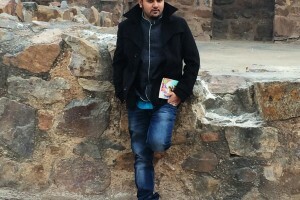 Literature is the manifestation of socio-historical pressures; Sonnet Mondal believes that poetry should function as the incitement for rebellion. Poetry must be useful, must serve the lumpy points of common sense. The poetry should reach to common man with simple and lucid way of representation.